French speaking country and 5 hours off Paris, Senegal is the very entrance point of Black Africa. It's the second sunniest country of the world. The average temperature is between 20 and 30°. As for the sea, it turns around 25° all year long. 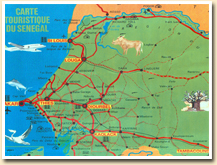 Senegal has an area of 196192 km2 and is located in the western extreme tip of the African continent. On the west side, the country is bordered by 700 km of coats on the Atlantic Ocean and surrounded by Mauritania, Mali, Guinea, and Guinea Bissau. Senegal is lined up the Meridian Greenwich Time (GMT). On the whole, the country is flat and not very bumpy. The Republic of Senegal is a multiparty democracy of which Prime Minister is head of the government. The main resources come from fishing, tourism, groundnuts and phosphates. The capital, Dakar, hosts some 2 million inhabitants and constitutes one of the major cities of West Africa. 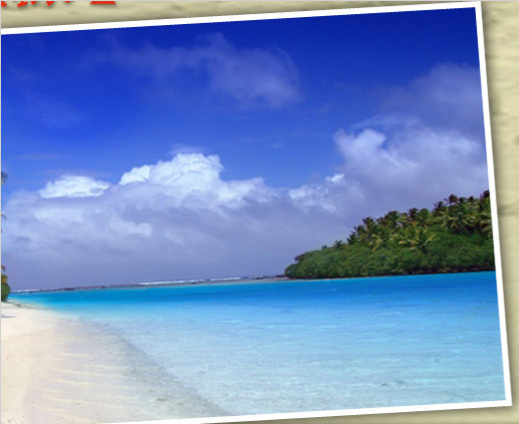 The city is located in a peninsula of which cape dives towards South America. Straight facing the city and 20 minutes off Dakar by ferry, the charming and welcoming island of Goree offers to its visitors an adventure through the time. Dakar becomes the capital of A.O.F. Léopold Sédar Senghor is elected first President of the Senegalese Republic. M Abdoulaye Wade is re-elected President of the Senegalese Republic.